Bushmaster will always have you covered in any situation whether you’re braving the Amazon jungle or the hunting trail! 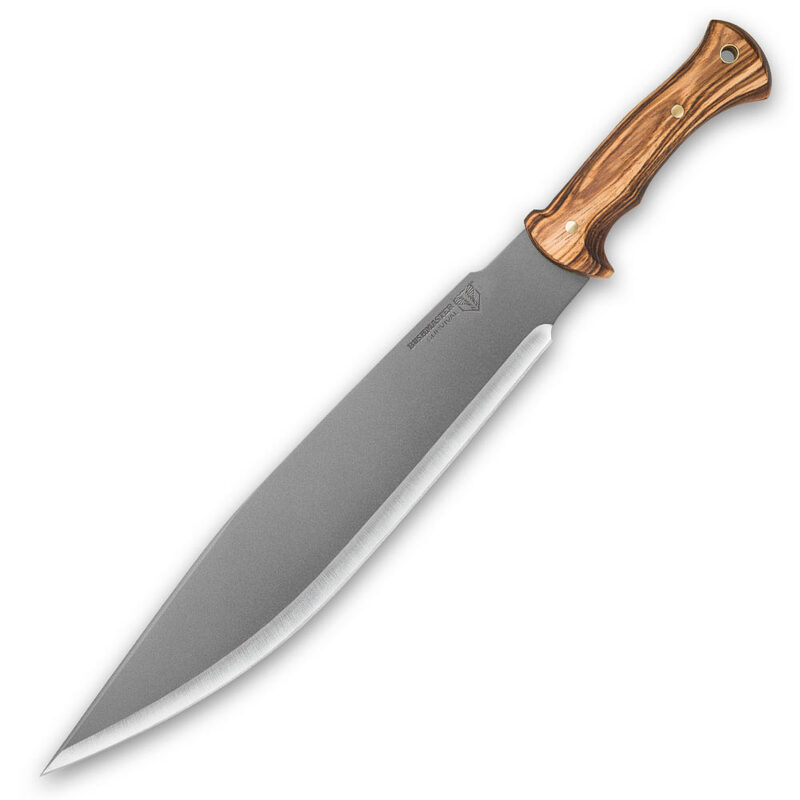 The Bushcraft Explorer Smatchet has a beefy 13 5/8” 1095 high carbon steel blade with a gray hard coating that will take any abuse that’s thrown at it. The dark hardwood handle has attractive brass pins and lanyard hole, which holds an olive drab paracord lanyard securely in place. A reinforced nylon belt sheath houses the blade. When you go out in the wild, you better have a Bushmaster!